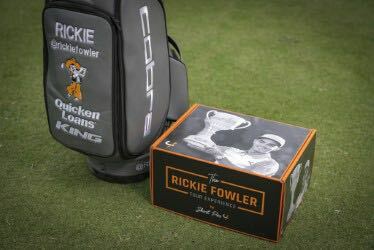 Short Par 4, the #1 “Hand Curated Box” for golfers everywhere, proudly applauds Rickie Folwer for his gutsy play at the Waste Management Phoenix Open and for capturing his fifth PGA TOUR title. “Our team is thrilled for Rickie. This win took grit, composure and great character. All of which he showcased. He also brought pride and respect to all the brands he represents, including Short Par 4. Congratulations Rickie on your inspiring win,” stated Short Par 4 CEO, Bobby DiMeo. For those that want to look like Rickie Fowler on and off the golf course, Short Par 4 offers the Rickie Fowler Tour Experience. This membership is a hand curated box which include his tour outfits, accessories, and premium gear from his sponsors like PUMA. 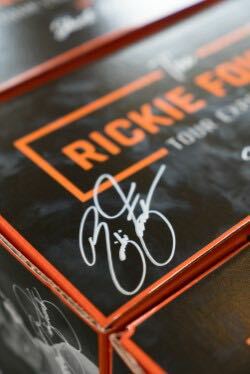 The Rickie Fowler Tour Experience ships every month directly to their member’s doorstep for $125, which includes free shipping. Rickie Fowler knows how his style has influenced his many fans, “I have always stood out from the crowd a little in the way I dressed. I grew up riding and racing dirt bikes, and enjoying action sports. The styles and love of color in that culture clearly had an impact on me. As an adult my style has evolved, but still feel most comfortable living in my own lane. It is cool that there are people out there that show up at tournaments or just at their local course to play nine dressed like me. Now, these same people can buy the same Tour outfits I wear from Short Par 4. I am excited to introduce The Rickie Fowler Tour Experience to my fans,” said Rickie Fowler. Short Par 4 is represented on all the major golf tours. The company has compiled a global brand ambassador team that includes some of golf’s most iconic players. Short Par 4 continues to grow every year since its inception in 2014. Their membership and box shipments are the largest in golf industry, making the company the leading golf subscription service. The company is located in Sarasota, Florida.